Open Daily to the public during building hours. 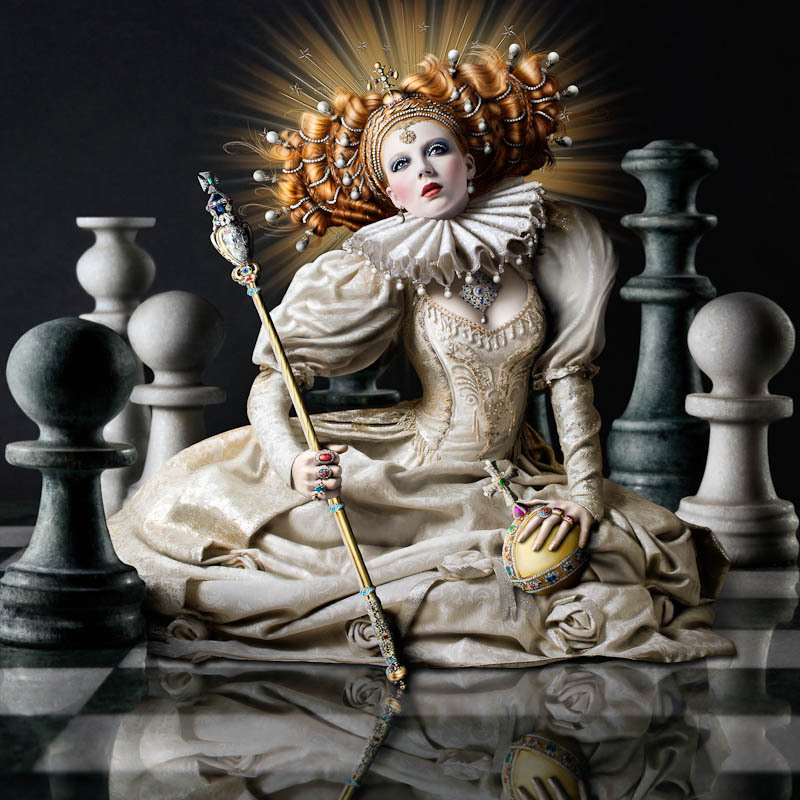 Princesses, warlords, dandies and divas take the stage to form two highly complex fine art series titled The Regal Twelve and The Royal Dozen. Based on historical figures, Sinclair has produced a superb collection of artworks formed from thousands of photographs and illustrations. Sinclair sources fabrics and set pieces, creating bespoke costumes and styling each individual photograph. A framed selection of 24 works will be presented along with a brand new iPad app digitising the series. Her work is held in the highest esteem from fashion editors, photo art critics, to museums across the country. An exquisite & sumptuous collection.